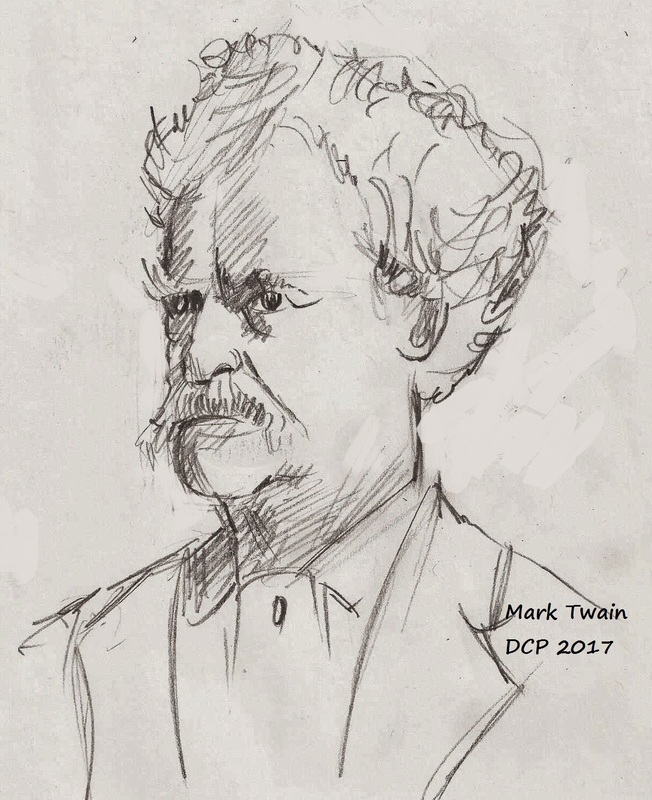 Towards the end of his life, following the death of his wife Olivia and the shattering death of his daughter Susy from spinal meningitis at age 24 while Twain and his wife were in Europe, Twain put aside his political inhibitions. 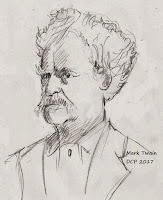 His daughter died while Twain was on one of his European jaunts attempting to work his way out of bankruptcy. These were not happy years. His wife, as good wives do, had served as an anchor and political censor for much of his writing life. After her death, all the shackles fell off. Both as senator and governor, Lowell Weicker was a progressive independista. Having lost his senate seat to former Attorney General Joe Lieberman, Weicker ran for governor under his own flag, A Connecticut Party, and won the general election by putting up a false front during his campaign. Instituting an income tax in the middle of a recession, said Weicker, would be like pouring gas on a fire. Connecticut’s income tax is Weicker’s legacy to his state. Weicker was as bullish on Weicker as TR was on TR. There was no love lost between Weicker and his Republican Party. Even today, there are Republicans who insist, not without cause, that Weicker, during his last years in the senate, was a faux Republican. But he certainly was – at least in respect to the state’s Republican Party -- an independent. His autobiography is titled “Maverick.” And it should not be forgotten that an income tax is the point of progressivism’s spear, the sharp edge of its sword. Two party Republican governors followed Weicker in office. One, John Rowland, campaigned on repealing the income tax. Rowland ended up in prison on charges of corruption. Jodi Rell followed Rowland into office, retiring after a full term with an approval rating much higher than that of Governor Dannel Malloy who, like Weicker, whipped his state with the highest and second highest tax increases in Connecticut history. Rowland and Rell were hobbled by a General Assembly dominated for nearly half a century by Democrats slouching towards progressivism. Malloy was not inhibited by legislate drag. It would be fairly accurate to say that Weicker and Malloy, both progressives, were independent in this sense: both were rather more like Twain's TR than his William Howard Taft, whom Twain much preferred to TR. Both Weicker and Malloy overcame Republican Party opposition. The failure of progressivism in Connecticut became evident – indeed, obvious to anyone who was not a progressive – towards the end of Malloy’s first term, when the state began to leech entrepreneurial capital and young entrepreneurs to contiguous high tax states such as New York and Massachusetts. Roland Lemar, a young Democratic state Representative who works on campaigns statewide, adequately summed up the chief problem his party will be facing in the upcoming elections: “The Democratic brand in Connecticut is suffering to the point that our natural advantage that we should have in a mid-term election with a Republican president, with Democratic ranks of voters far outnumbering Republicans, we’ve lost that advantage. All the natural advantages that we should have we don’t have right now because our brand has suffered and we don’t have a candidate who can articulate where we should be.” The Democrat Party has moved too far to the left. The Republican Party, as always, is suffering from timidity. It has not been able in past campaigns to tie the knot – to prevent the thread from slipping from the needle’s eye. But neither party needs a world-savior governor independent of either party. Been there, done that.